Week 4 is in the books and what a chaotic weekend it was. All four of our writers managed to finish above .500 (just barely at 8-7) but this week was full of twists, certainly highlighted by Houston’s shellacking of the Titans. Without further adieu, let’s take a look at the highest scoring team of the week. The rookie from Clemson had his coming out party this week against the Titans. 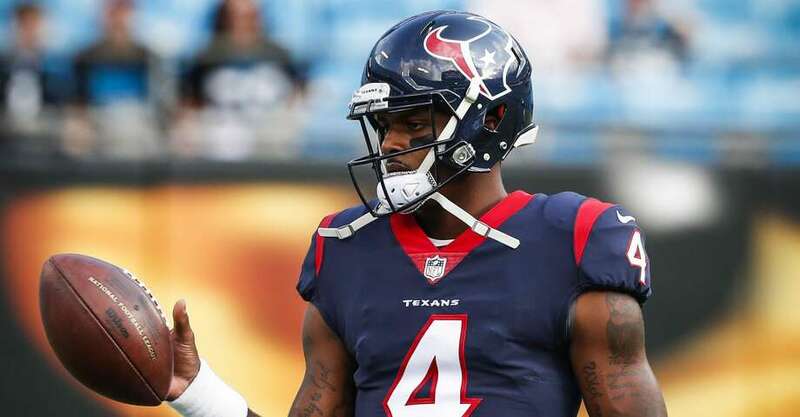 A once stale Texans offense looks to be on fire with Watson at the helm. He was able to have his way with the Titans defense sans an interception. His mobility is also a factor as he was able to rush for 24 yards and a TD. Watson may be a solid option going forward and cracks his way into this week’s team. The consensus Top 2 running back finally breaks into the team in Week 4 after a slow start to the season. 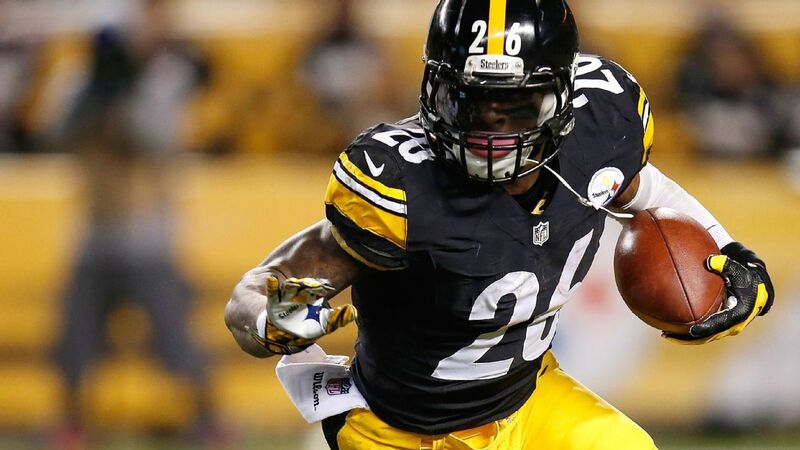 There’s no doubt the hold-out had some effect into his rust factor but the Steelers showed they’re not scared to rely on Bell to bring them production. Bell got the ball often and made some plays against the Ravens. Look for him to continue to hold his RB1 spot throughout the rest of the season. 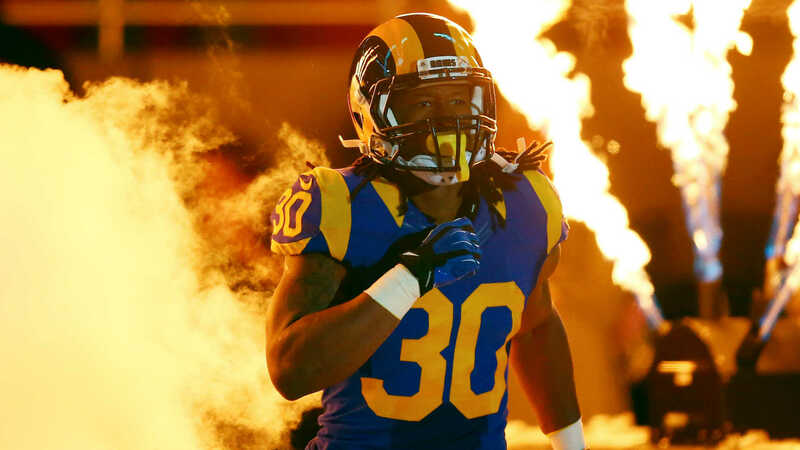 Gurley continues his absolute monster start to the season with the return (maybe) of the Greatest Show on Turf. These Rams look damn good and Gurley is certainly a huge factor. He’s becoming a fantasy monster again and is making owners look stupid for passing over him. Gurley becomes our first three timer and looks to continue this with a tough matchup against the Seahawks. Only fitting that the QB of the week’s #1 receiver would make the list. Hopkins and Watson look to have made a chemistry connection early in the rookie’s career. 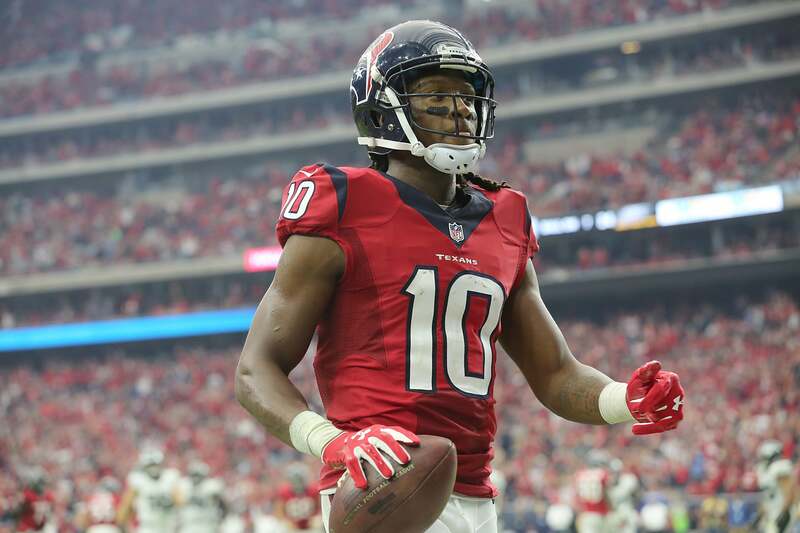 In a somewhat slow week for receivers, Hopkins was able to provide a solid statline. Funchess surprisingly makes the team of the week thanks to an absolute garbage performance from the Patriots’ secondary. We can’t overlook the performance though as Funchess had his way with the defense en route to two scores. Tyler Kroft comes out of nowhere and upends Travis Kelce for a spot on the team of the week. 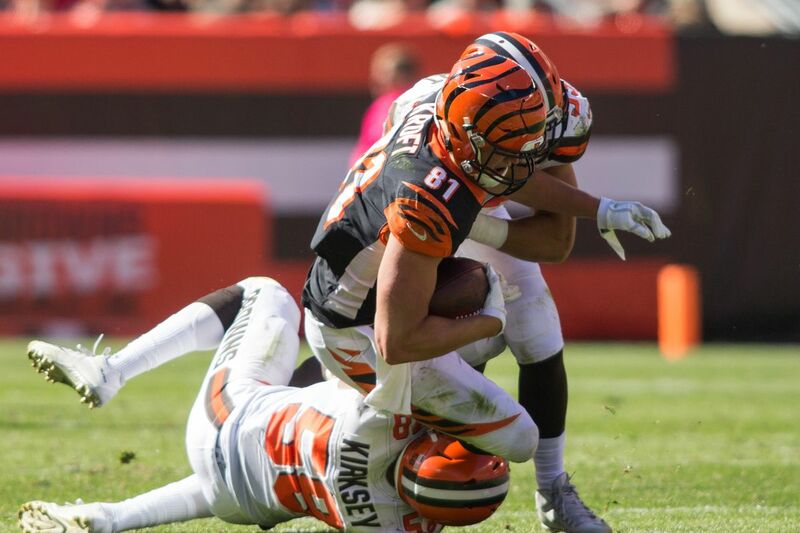 The Bengals’ tight end was able to catch two scores against the lowly Browns and snag a spot on the team. Similar to Lewis of last week, Kroft is not worth a grab and should not appear on this team again. No surprise here — Elliot, who fell in drafts due to his impending suspension, has been able to avoid the ban and find a place on the team of the week. 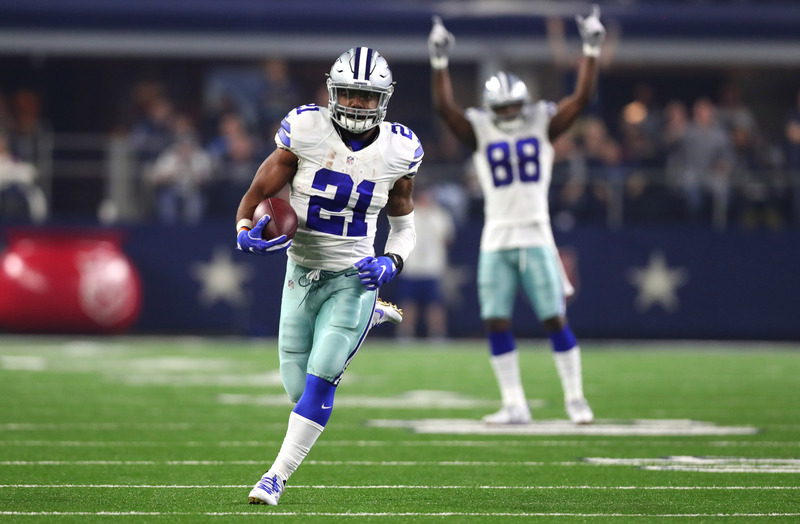 Though a losing effort, Zeke showed that efficiency that had him so highly ranked by fantasy players worldwide. He did not crack 100 yards rushing, but his dual-threat ability landed him a solid 29.9 points. 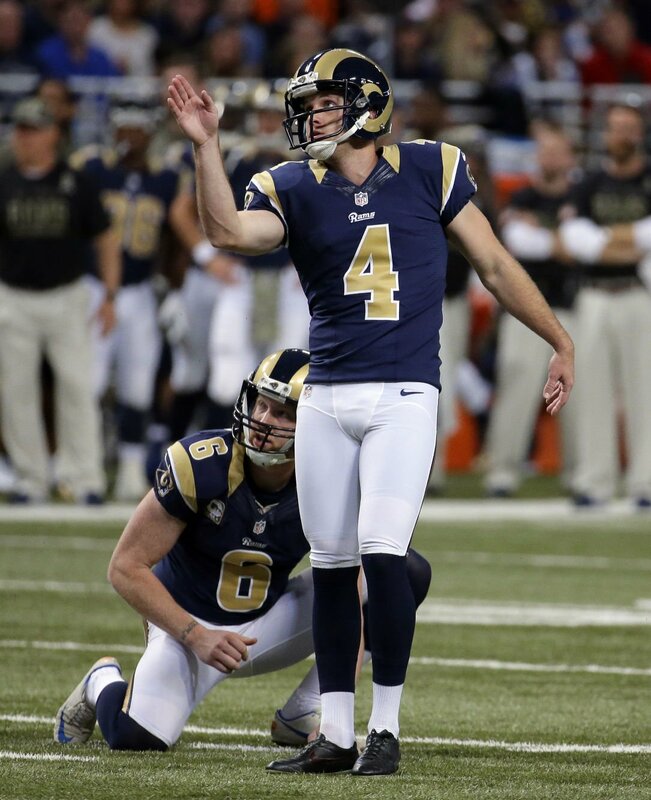 An astouding 27 points from the LA Rams’ kicker after he pounded through seven field goals. The Rams couldn’t really reach the endzone but Zuerlein came through whenever they were counting on him and lands a score higher than both our receivers this week. Not a bad week to be a Zuerlein owner. The daunted Seahawks’ defense finally came alive against the Colts. Though a slow start, they got absolutely rolling during the second half. Two defensive touchdowns led the way for a demolition of the Colts. The Seahawks wrap up our TOTW. This week’s team is good for second place in our TOTY standings. An outstanding kicking performance definitely helped vault this team into a good position. Gurley looks to be the fantasy MVP so far, but it’s still early. Onto Week 5.